Develop your employees’ skills with optimised training courses that deliver tangible results in performance and development across the organisation. 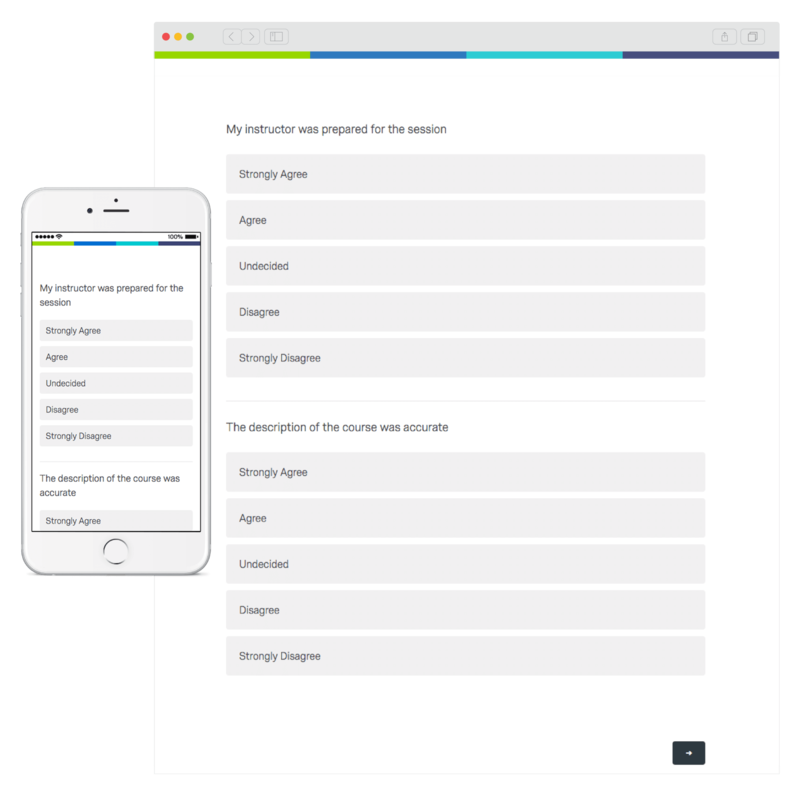 Launch training and assessment surveys at the click of a button with pre-built, expert training programs embedded in the XM platform. You’ll have everything you need to get started and, if you need to make changes, it’s easy - just use the intuitive survey and dashboard builder to customise your program. Real-time data. Delivered to the right people. Automatically share training insights with the people who need them most. 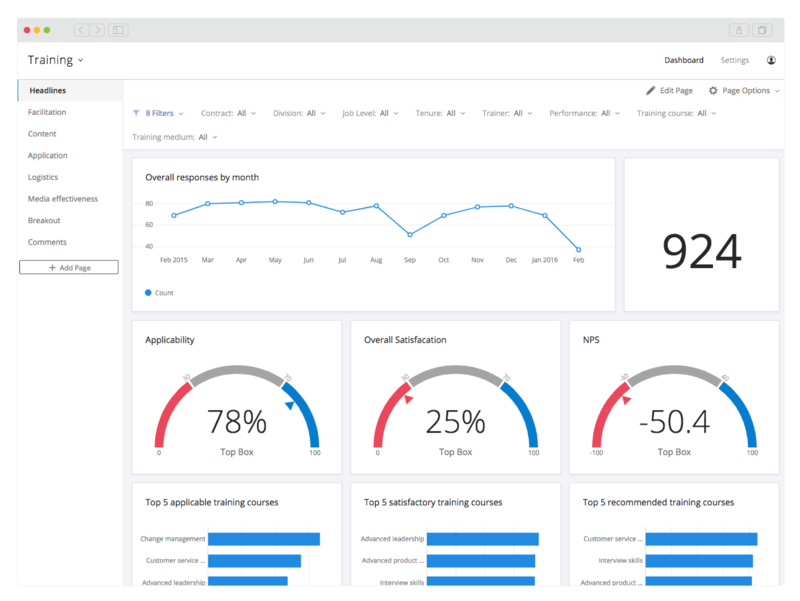 All your feedback is delivered in real time to HR leaders, managers, and learning and development teams through flexible, role-based dashboards. Scale your training insights by automating your feedback and reporting. With APIs into your HRIS system, employees will automatically receive a request for feedback at the right time, and the responses will auto-populate your dashboards and reports as they comes in. Understand how your training programs affect everything from staff development to ramp time, engagement and attrition. 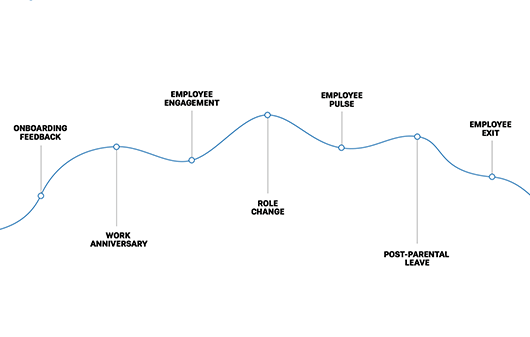 With training surveys on the same platform as your other employee feedback, you’ll be able to connect the dots to see how your training programs impact every stage in the employee lifecycle. Spot patterns in your data and automatically identify the improvements to your onboarding program that will have the biggest impact. 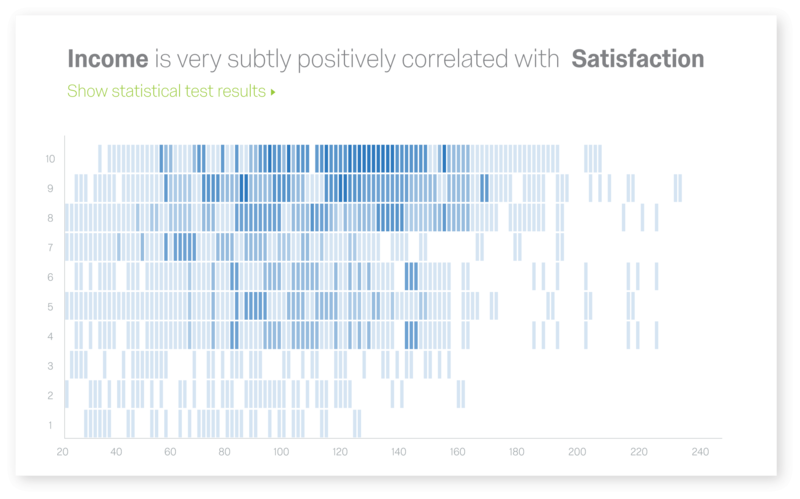 With Qualtrics iQ – our predictive intelligence engine – you get advanced statistical, predictive, and text analysis – without lifting a finger. What are employee training feedback surveys? Training surveys and development evaluations help organisations measure the effectiveness of their training and development programs and determine what changes can be made to improve them. Whether you’re looking to assess the success of a sales training, an online course or any teaching or development course, training feedback surveys can help you measure participant reactions to improve training content and curriculum while increasing participant learning and reducing costs.